We’ve combined the power of 3 BIG distributors to provide resellers like you with a super distributor experience! Get ready for unprecedented service, selection, support, and solutions to unleash your full potential. Join Hewlett Packard Enterprise team and learn about the Sales Opportunities with Tape Media in our May Webinar. Log into our online storefront to access the interactive 2019 ARLINGTON Sales Catalog flipbook, featuring an easy to use, mobile-friendly format with text search, zoom, and save/print functionality. 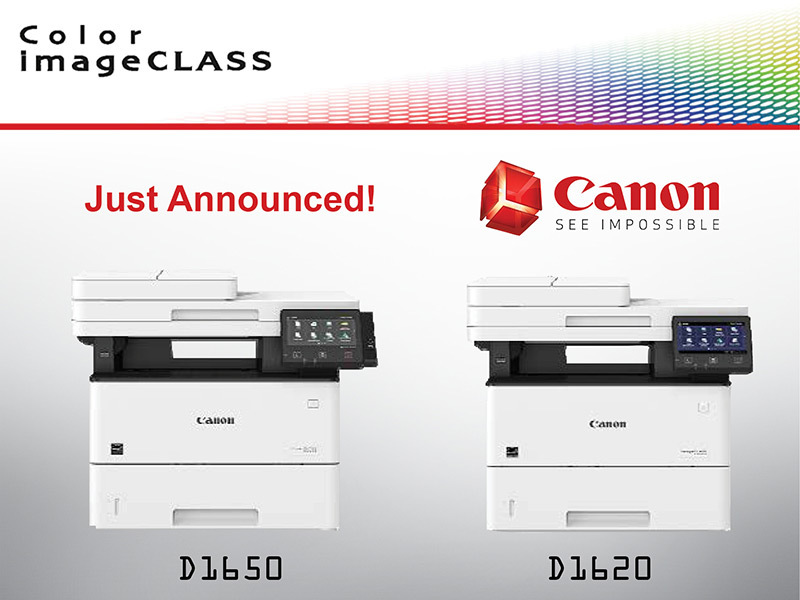 Just announced – New Canon imageCLASS D1620 & D1650 Multifunction, Wireless, Mobile-Ready Laser Printers. Designed for small to mid-size workgroups. 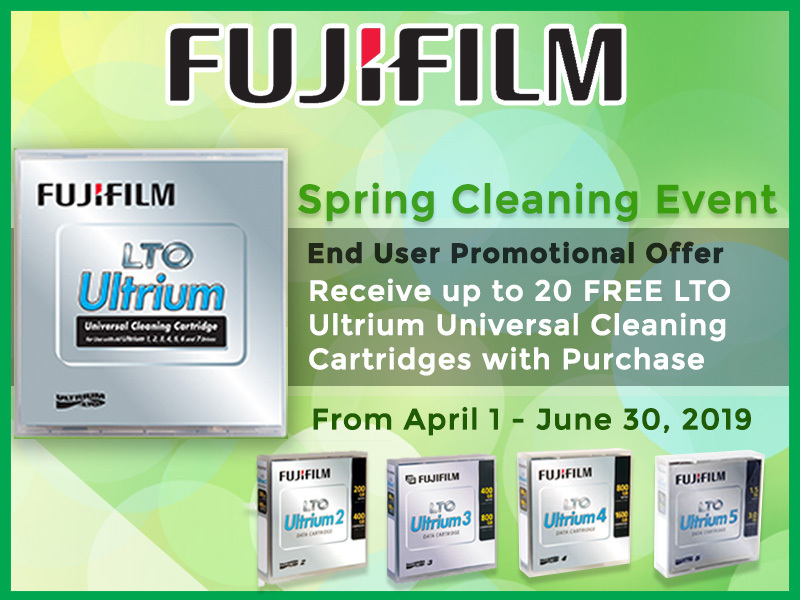 From April 1 – June 30, 2019, for each purchase of 100 Fujifilm LTO Ultrium 7 Data tapes receive 5 Free Fujifilm LTO Ultrium Universal Cleaning Cartridges(Limit twenty per end user). 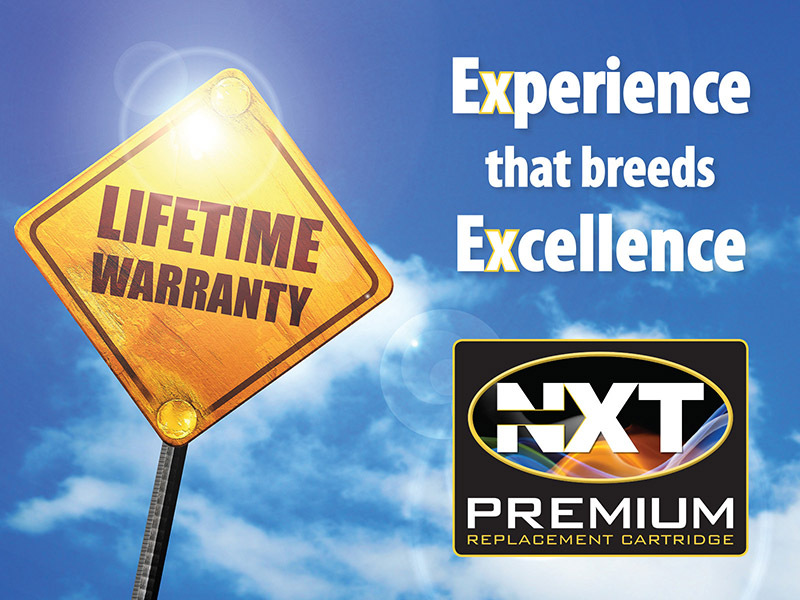 ARLINGTON’s NXT Premium Replacement Supplies provide quality alternative supplies with Lifetime Guarantee for every unit sold. A product you can trust for those looking for alternatives. Meet the Lexmark B2236dw printer and MB2236adw MFP. 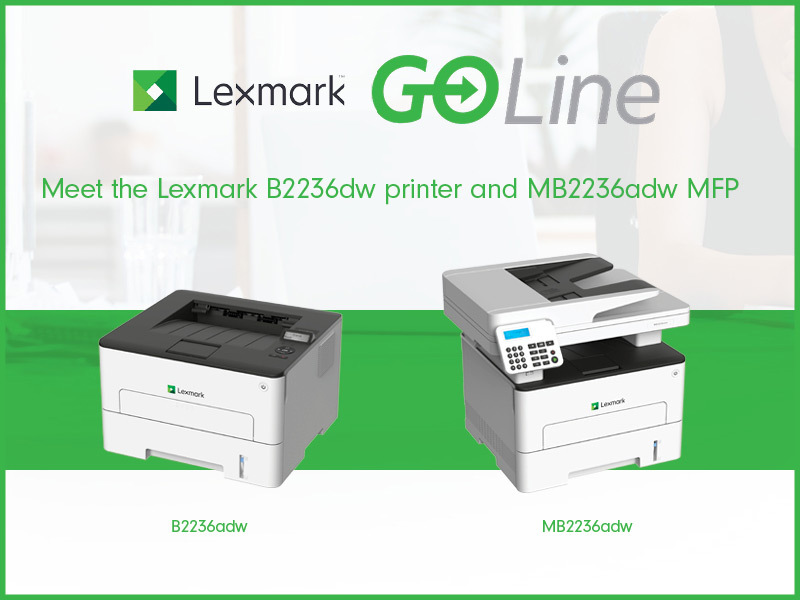 Compact, connected, and affordable, the ready-to-work Lexmark B2236dw and MB2236adw provide the performance and features your customers need. 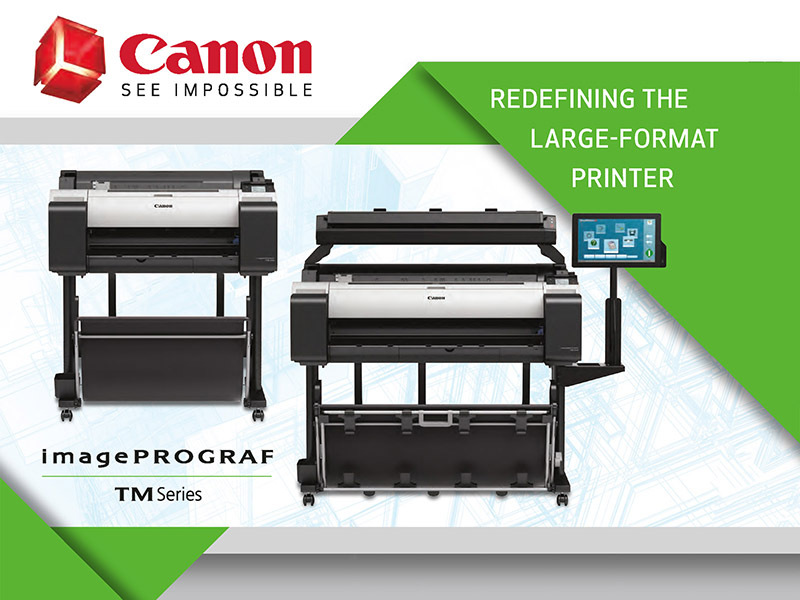 Canon imagePROGRAF Large Format Printers offer state-of-the-art large format printing solutions designed with exceptional speed, flexibility, and quality. 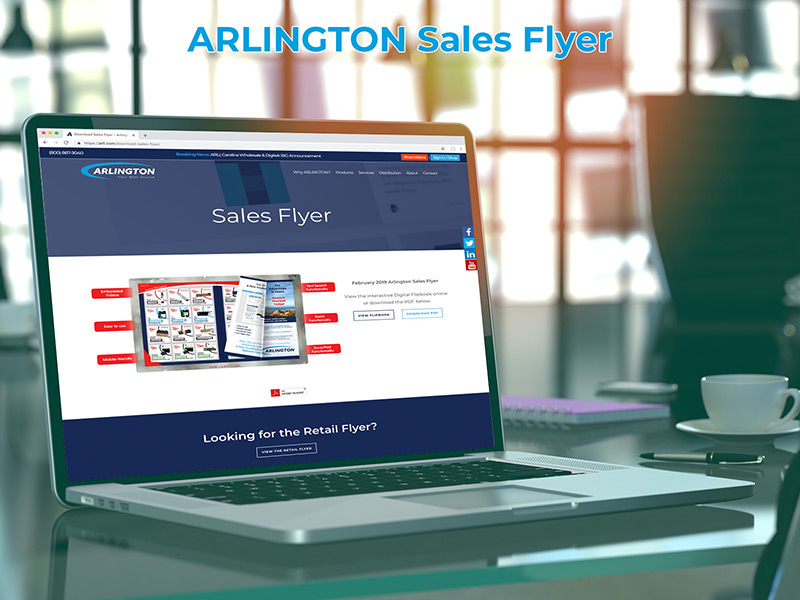 Log into our online storefront to access the current ARLINGTON Sales Flyer flipbook, featuring an easy to use, mobile-friendly format with text search, zoom, and save/print functionality, along with embedded videos. 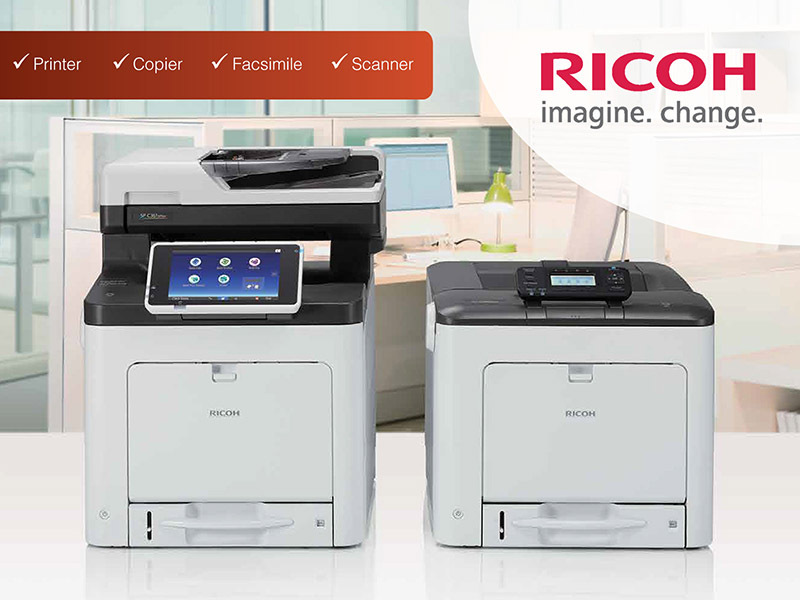 Ricoh multifunction printers & copiers offer smart technology, superior image quality and document-sharing tools that can help increase business productivity. 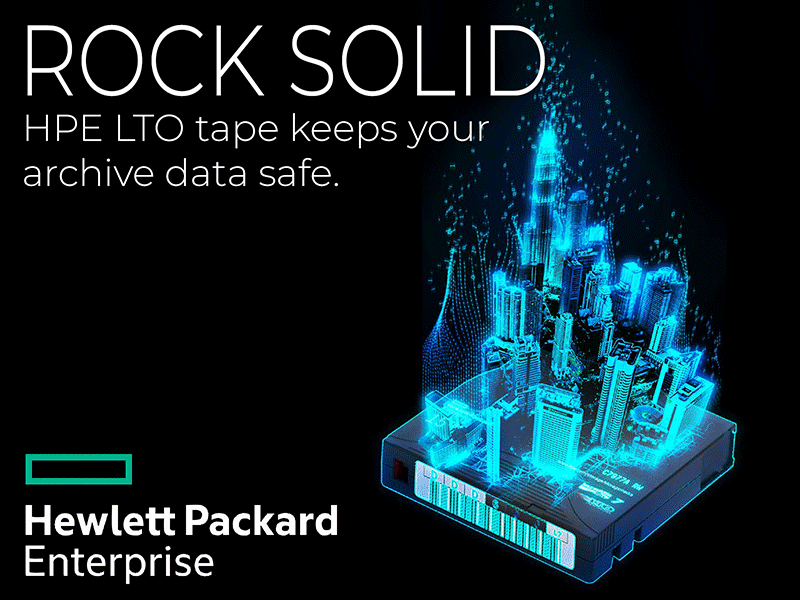 Build your long-term archival strategy on Rock Solid foundations using HPE LTO Tape. Low cost. Scalable to exabytes. Incredibly resistant to ransomware. Environmentally friendly. 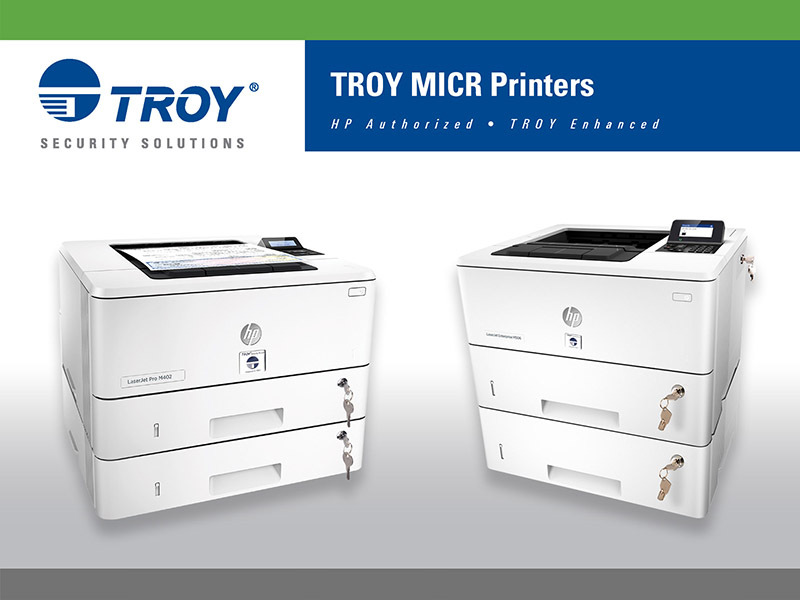 TROY Security Solutions provide most secure combination of hardware, software, and consumables for those resellers demoing the most secure printed document solution available today. In 1972, the Hank Welfare Company (later to be renamed Carolina Wholesale Office Machines) is founded in Charlotte, North Carolina. In 1973, to meet the distribution needs of imaging resellers, Arlington Industries was formed in Chicago, Illinois. Hank Welfare Company is renamed Carolina Wholesale Office Machines Co. and Sales Manager Larry Huneycutt purchases 50% of company and is promoted to Vice President. Founder Paul Martorana commences distribution of imaging products to supplies resellers and government accounts from Sterling, VA.
Vice President and 50% owner, Larry Huneycutt assumes ownership of one of the fastest growing imaging distributors in the USA. CWG owner Larry Huneycutt expands national reach and market share with Arlington acquisition and grows to 5 distribution centers. To enable imaging resellers to grow their recurring revenues amidst the growing demand for Managed Print Services, Ctrl-Prt MPS infrastructure is launched. CWG owner Larry Huneycutt makes strategic acquisition of Digitek, an imaging consumeables distributor based in Dulles, VA.
To support dealer growth, Arlington, CW, and Digitek launch Partner Pro Services to improve dealer websites, manage digital marketing, and provide industry specific sales training. The “POWER of 3” distribution company is formed (Arlington Industries, CW, and Digitek) with new “ARLI Advantage” Dealer Rewards Program. Get weekly promotions, product announcements and news!